LAKE PLACID – CBD won’t get you high, but it’s in high demand. Over the past few years, changes in federal laws, influential scientific studies and a growth in U.S. hemp production have led to cannabidiol (CBD) becoming an increasingly common natural health supplement. CBD carries many of the medicinal possibilities of medical marijuana and as demand for CBD rises each year in the U.S., a Tupper Laker is producing and selling a specially formulated CBD oil at a Placidian’s wellness store. CBD is legal in New York state. Though it is still illegal federally, the Drug Enforcement Administration has said it will not pursue anyone possessing or using it. On Thursday, congressional leaders came to an agreement on the 2018 farm bill, and if it passes, it would legalize the sale of CBD federally. Though CBD was previously thought of as being marijuana, a Schedule I drug along with cocaine and heroin, in 2016 the Drug Enforcement Administration classified CBD as a marijuana extract. But CBD can also be extracted from hemp, another variety of the cannabis sativa plant that doesn’t get people high. Hemp contains less then 0.3 percent of the psychoactive agent Tetrahydrocannabinol (THC), whereas marijuana’s THC content can range widely, anywhere from 5 to 30 percent. In 2014, Congress’ annual farm bill legalized the sale of “non-viable hemp material” within states participating in the Hemp Pilot Program. New York launched its own Industrial Hemp Agricultural Research Pilot Program in 2015. These actions have led to a large surge of supply and demand for CBD products as production, sale and consumption become easier legally and financially. Americans spent $512 million on CBD products this year, nearly five times as much as in 2014, according to statistica.com. 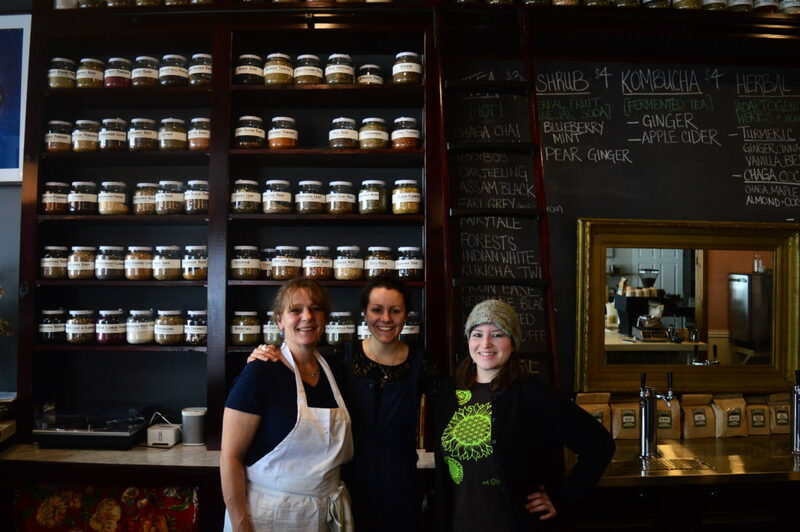 Around four years ago, Chani Greiner, a Tupper Lake herbalist who owns Root Alchemy Apothecary, was selling her other herbal products at expos and health fairs in Maine and New Hampshire, where she lived. She kept getting approached by people asking about CBD. Greiner has been an herbalist for 15 years, so she said the progression into offering CBD was natural for her. She already had many of the connections needed for production. A 2017 study of the American Medical Association found that 70 percent of CBD products were mislabeled, over- or underestimating the actual percentage of the cannabinoid in the product. 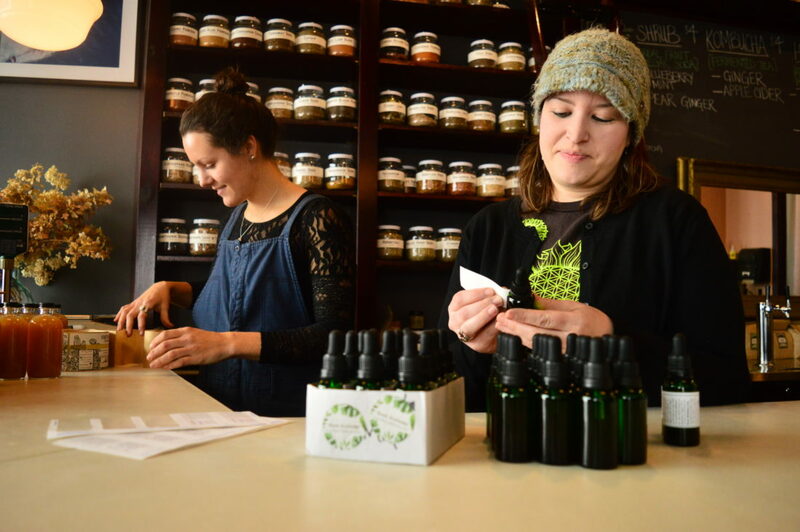 Root Alchemy CBD oil is sold at Bliss and Vinegar, a Lake Placid herbal cafe and community space owned by Jennifer Jubin where Greiner works as a barista. It’s also sold online at www.root-alchemy.com. Though there are thousands of CBD products out there now, Greiner believes hers, a personally formulated mixture of hemp and organic coconut oil — nothing else — is a bit better than the rest. 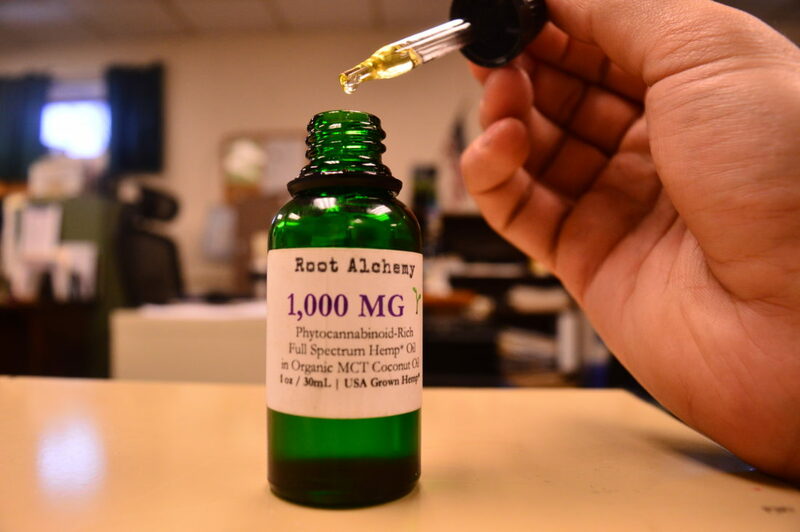 Greiner said Root Alchemy’s oil is not “cookie-cutter” CBD. “It’s a consciously created product; it’s not something that’s just slapped together,” Greiner said. When Greiner started producing CBD oil, she was working with local farmers and melting hemp oil into coconut oil herself at home. She now has the oil manufactured by a third-party company in Ohio that works with organic farmers, has the capability of doing purity testing and has the means for mass production. The company uses Greiner’s formula for Root Alchemy batches. Greiner said she uses coconut oil instead of other oils because it is a good carrier for hemp oil. This process also extracts several other cannabinoid molecules and the essential oils of the plant. Because there has not been enough research done on hemp and CBD, the jury is still out on exactly what the health and long-term effects of CBD are. “The medicinal effects of CBD are all speculative and individual,” Greiner said. Currently, the cannabinoid is being looked at by researchers to treat depression, multiple sclerosis, post-traumatic stress disorder, muscle and bone issues, anxiety and seizures, and much more. Jubin said people also want to know if CBD oil can help reduce the recent spike in opioid addiction. Anecdotally, CBD lessens pain with fewer side effects than opioids. Side effects of CBD include sleepiness, reactions with other medications and low blood pressure, according to WebMD. It has not been studied for long, some experts point out. “While it seems safe, people need to know that rare adverse events or events that take a long time to appear would not be known at this time but could occur,” Charles White, a pharmacist and head of the University of Connecticut’s Pharmacy Practice Department, wrote in an email. White said data is scant for treating opioid addiction with CBD and that it is very controversial. Homeostasis refers to the body’s ability to maintain stability despite physical and chemical changes. Greiner said maintaining homeostasis pre-emptively prepares the body for illness, and clarified that CBD is for support rather than healing. It is not a cure-all. Greiner points out that cannabinoids are part of human design. Humans have an entire endocannabinoid system, which several academic articles, including one by Ester Fride from the College of Judea and Samaria, suggest plays an important role in pre-natal development. After birth, endocannabinoids are found in breast milk and continue to influence brain chemistry throughout life. According to White, CBD is shown to improve anti-inflammatory response, regulate chemicals that affect the emotional state and have several other “promising” effects, based on tests on animals. White confirmed Greiner’s claim that CBD raises concentrations of the natural endocannabinoids anandamide and 2AG. Greiner said anandamide is known as the “bliss molecule.” It gets its name from the Sanskrit word “ananda,” which translates to joy or bliss. It produces a pleasant emotional state, but not a high. Jubin said CBD fits into the class of herbs called adaptogens, which help the body adapt to stresses without addressing the symptoms directly. While anandamide binds to the brain’s THC receptors like THC from marijuana does to produce a state of heightened happiness, CBD does not attach to the receptors directly. It causes the body to produce more anandamide, which attaches to the receptors. Greiner said she is selling the CBD oil to everyone: adults, children, the elderly and even for pets. CBD oil can be ingested or applied to the skin. Greiner sells it in 150 mg, 500 mg and 1,000 mg potencies. She mostly sells it in the Adirondacks but also ships it around the country through the Root Alchemy website. Greiner said anyone curious about CBD that has questions can talk to her at Bliss and Vinegar. She teaches an herbal class there several times a month and has five classes in December.